Yes. The New York Convention on the Recognition and Enforcement of Foreign Arbitral Awards of 1958 was incorporated into Panama’s Judicial Code through Law No. 5 of 25 October 1983, and Law No. 131 of 31 December 2013 on domestic and international commercial arbitration in Panama. Panama has also adopted the Code of International Private Law, known as the Bustamante Code, incorporated through Law No. 15 of 26 September 1928, namely articles 423 to 433, as well as the Inter-American Convention on International Commercial Arbitration (the Panama Convention) from the Organization of American States of 30 January 1975, incorporated through Law No. 11 of 23 October 1975. Yes. Twenty-two treaties are in force. Law No. 131 of 31 December 2013 is the primary source of law relating to both domestic and foreign arbitral proceedings, as well as for the recognition and enforcement of awards. The Judicial Code applies to the procedure for acknowledgment and enforcement of foreign awards, as well as the procedure of enforcement of both domestic and foreign awards. when the matter subject to arbitration implies the performance or rendering of services, or transfers of capital with extraterritorial or cross-border effects. A foreign award is an award issued outside of the Panamanian territory, as well as an award issued within Panamanian territory, in the course of an international commercial arbitration proceeding. An arbitration proceeding shall be considered domestic when no aspects that would otherwise determine an international nature are present, and the seat of the arbitration is located within the territory of Panama. A national or domestic award is an award issued within Panamanian territory in the course of a domestic arbitral proceeding, where the seat of the arbitration is located in Panama. Generally, yes. It is also influenced by the International Chamber of Commerce Arbitration rules, as well as the arbitration laws of other jurisdictions (Spain, France, Mexico and others). The parties may not deviate from the rules of procedure for acknowledgment and enforcement of arbitral awards and foreign arbitral awards, and the rules for challenges against the arbitral award, as well as the rule of procedure for commencing arbitration after requesting interim judicial measures prior to arbitration. Yes. The arbitral tribunal must rule on the dispute in accordance with the rules chosen by the parties. If the parties do not state the applicable law, then the arbitral tribunal shall apply the law it determines appropriate. In any case, the arbitral tribunal must rule considering the contractual stipulations and commercial practices. In international arbitration, the arbitral tribunal shall also consider the International Institute for the Unification of Private Law’s Principles for International Commercial Contracts. No restrictions apply regarding language or the place of proceedings. CECAP has a list of certified arbitrators. The parties are not obliged to appoint their arbitrators from this list; however, both the third arbitrator who serves as president or chair of the arbitral tribunal and his or her substitute must be appointed by the parties’ arbitrators from the centre’s list. Also, whenever a party - or group forming a party - fails to appoint its arbitrator, the centre shall appoint the arbitrator from this list. According to CECAP’s rules, the arbitrators can be of any nationality, except if otherwise provided by the parties, and in the case of international arbitration, the arbitrators may or may not be attorneys, as agreed by the parties, but if the arbitration is domestic and at law, the arbitrators must be locally licensed attorneys. All arbitrators must be independent and impartial. If no determination is provided in the arbitration agreement, the arbitration tribunal shall be formed of three arbitrators in cases where the claim amount is considered ‘larger’ (more than US$250,000) according to CECAP’s rules or when the claim amount is undetermined. In the case of a claim for a ‘lesser’ amount, the arbitration tribunal shall be formed by a sole arbitrator. Arbitration involving a state or state entities shall be held with three arbitrators. If there is a sole arbitrator, the centre shall appoint the arbitrator from the centre’s list, whenever the parties cannot agree to the appointment of the sole arbitrator. Administrative and arbitrator fees are calculated on the basis of the claim amount, up to a controlled cap (set at US$50,000 plus minimum increments for arbitrator fees). The president of the arbitral tribunal can sign the arbitral award in the absence of a majority or consensus between the arbitrators. The Centre for the Solution of Conflicts has a code of ethics to be followed by arbitrators. The centre has a list of certified arbitrators, which the parties are not obliged to appoint their arbitrators from; however, both the third arbitrator who serves as president or chair of the arbitral tribunal and his or her substitute must be appointed by the parties’ arbitrators from the centre’s list. Also, whenever a party - or group forming a party - fails to appoint its arbitrator, the centre shall appoint the arbitrator from this list. If no determination is provided in the arbitration agreement, the arbitration tribunal shall be composed of three arbitrators in cases when the claim amount is considered ‘larger’ (more than US$150,000) according to the centre’s rules, or when the claim amount is undetermined. In case of a claim for a ‘lesser’ amount, the arbitration tribunal shall be formed by a sole arbitrator. If there is a sole arbitrator, the centre shall appoint the arbitrator from the centre’s list if the parties cannot agree to the appointment of the sole arbitrator. In cases where the centre must appoint the arbitrator, in addition to impartiality, expertise and knowledge of the arbitrator, it shall also conduct efforts to appoint an arbitrator of a different nationality to the parties if the arbitration involves parties of different nationalities. Administrative and arbitrator fees are calculated on the basis of the amount of a dispute up to a maximum cap. Arbitrator fees are capped at US$45,000 (for claims exceeding US$100,000,000.01). Yes. The general rule is that only matters that are of free disposition of the parties can be subject to arbitration, as well as those authorised by the law or international treaties. The arbitration agreement must reflect the parties’ willingness to submit to arbitration all or part of their controversies resulting from, or that may result from, a determined juridical relation, which may or may not be contractual in nature. The arbitration agreement must be in writing. It can be in the form of a clause inserted into a contract or a separate agreement. The ‘in-writing’ requirement is considered to be met whenever written evidence of its existence can be produced, including in cases when the arbitration agreement was concluded verbally, and when such agreement would materialise through the performance of certain acts or other means. Accessible electronic communication can also serve as evidence of the existence of an arbitration agreement. A written form is considered to exist when the parties exchange briefs of complaint and answer, when the existence of the arbitration agreement is affirmed by one party without being denied or rejected by the other. Reference made in a contract to a document that has an arbitration clause is also considered a written agreement, provided that such reference implies that the clause is part of the contract. Generally, an arbitration agreement will no longer be enforceable in circumstances where a statute of limitations may result, or when the debtor company is legally dissolved and the creditor has not pursued the company within the three-year continuation period following dissolution, as well as in cases of insolvency or liquidation. It may also be that the arbitral award cannot be enforced in practice, resulting from circumstances not considered by the arbitral award at the time the award was issued that would make enforcement impossible, such as circumstances where a third party’s rights may be affected, the relevant asset has disappeared or the situation has ceased to exist. This matter is not regulated by the law on arbitration. A third party may eventually become bound by an arbitration agreement, as a result of a merger operation, an assignment of rights or through a connection of contracts. In any case, circumstances would have to be analysed on a case-by-case basis. This matter is not regulated in the law on arbitration. To incorporate a third party to arbitration, consent of that party would be required, subject to one of the parties to the arbitration filing a petition to join the third party to the arbitration, if permitted by the relevant centre’s rules. Panama does not follow the ‘group of companies’ doctrine, as legal entities are considered separate entities from their shareholders, with their own patrimony. Consent of the non-signatory to the arbitration would have to be obtained or demonstrated through related documents. Multiparty arbitration is generally considered according to centre-specific rules. Multiparties are classified as either claimants or respondents, and as such must agree to the appointment of a common arbitrator. If no agreement is reached, then the centre will appoint all the members of the arbitral tribunal, indicating who will be its president or chair. Individuals who have gravely violated the code of ethics of the arbitration centre and individuals who have been declared criminally liable for offences connected to fraud, falsehood or malfeasance cannot serve as arbitrators. Generally, the president or chair of the arbitral tribunal must be appointed from the centre’s list of arbitrators. The parties can agree to the requirements that must be met by the arbitrators, although requirements that would result in a breach of public policy would be rejected by the relevant centre, and may affect the enforceability of the award. 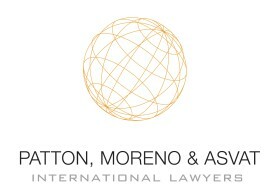 Arbitrators in Panama are generally private-practice lawyers. Typically, gender diversity is promoted by the arbitration centres. The general mechanism is that the each of the parties appoints one arbitrator, and the appointed arbitrators select the chair or president. If a party fails to appoint an arbitrator, then the centre chooses the arbitrator. If the appointed arbitrators cannot agree to the chair, then the relevant centre selects the chair or president. The same occurs in case of a sole arbitrator. Generally, the centre appoints arbitrators from its list of admitted arbitrators. A challenge can only be raised if circumstances giving rise to justified doubt regarding the arbitrator’s impartiality exist. Grounds for replacement are considered in the relevant centre’s rules, and generally include agreement of the parties, death, resignation, admitted challenge, or when the centre considers that a cause in law or fact preventing the arbitrator from performing his or her duties exists. The arbitrator must remain impartial throughout the proceedings. Arbitrator fees and expenses are normally paid to the arbitrator through the arbitration centre, in accordance with the centre’s fee tariff. The arbitrator answers to the centre. The arbitrator must communicate the acceptance of his or her appointment to the centre, and then provide a sworn statement of impartiality and independence. The centre must confirm the appointment of all arbitrators. The liability of arbitrators is not explicitly regulated in Panama. Certain centres include in their rules exemptions of liability in favour of the arbitrators. As a general rule, any court before which an action related to a matter that must be resolved through arbitration is filed is required to reject the complaint without further consideration and direct the parties to commence arbitration. In practice, the defendant will have to file an exception or challenge of lack of jurisdiction within a period not exceeding two days after the term to file the answer to the complaint. If arbitral proceedings are initiated and a party insists on continuing with judicial proceedings, the arbitral tribunal will be authorised to continue with the arbitral proceedings and issue its arbitral award. A challenge to the arbitral tribunal’s jurisdiction can be filed up to the moment the response to the complaint is filed. A challenge claiming that the arbitral tribunal has exceeded its mandate can be filed as soon this materialises. The arbitral tribunal may review a challenge filed if it considers the delay to be justified. The arbitral tribunal is authorised to rule on its own jurisdiction. These rulings can be included in a partial award or in the final award. If a partial award is issued, the challenging party has 30 days following service of the partial award to file a challenge of annulment before the Fourth Chamber of the Supreme Court of Justice. Arbitral proceedings shall continue while the challenge is being considered by the Supreme Court. In the absence of an agreement between the parties, the place or seat of the arbitration shall be determined by the arbitral tribunal, considering the particular aspects of the case, including the convenience for the parties. The same occurs with the language of the arbitral proceedings. The centre rules may provide further guidance to the arbitral tribunal, such as the consideration to the language most related to the subject of dispute. Arbitration can commence - depending on the relevant centre’s rules - either through the filing of a request for arbitration, which is later followed by the arbitration complaint, or the direct filing of the arbitration complaint, with the relevant arbitration centre. evidence of settlement of the initial centre’s management fees. A copy for each arbitrator and opposing party must be provided. Hearings are governed by the rules of the relevant domestic arbitration institution, supplemented by the law on arbitration. Generally, hearings are required, such as a preliminary hearing on the cause of the dispute; however, certain hearings can be waived by the parties, such as the submission of closing statements. There are no particular rules governing the production or taking of evidence in arbitral proceedings. The arbitral tribunal is authorised to determine the admissibility, pertinence and value of the evidence submitted by the parties, and to order at any moment the submission or taking of evidence by the means it deems proper, in accordance with the circumstances of the case. The arbitral tribunal may appoint its own experts, or call witnesses it deems necessary to establish or determine the facts. Evidence generally admitted includes fact witnesses, expert witnesses and expert reports, and inspections of documents, objects and places. In certain cases, the parties may request the arbitral tribunal to follow specific rules, such as the IBA Rules on Taking of Evidence in International Arbitration, or agree to limit the scope and content of the evidence by limiting the number of witnesses or expert reports required. To promote efficiency, the arbitral tribunal may limit the duration of interrogations and set a closed calendar for producing reports and taking testimonies. Court involvement can be requested by the arbitral tribunal to request assistance in the taking of evidence and implement interim measures. Confidentiality during the course of arbitral proceedings is generally ensured. However, during the course of a challenge of annulment, opposition to the acknowledgment, enforcement and application may become publicly available. During award enforcement proceedings, evidence related to the arbitration proceedings, as well as the award submitted in these judicial proceedings, may become publicly available, as judicial files can be accessed by the public, such as counsel, paralegal staff, journalists, law students and other individuals authorised by the court. Courts can grant ex parte interim measures, subject to the judicial rules of procedure, prior to the constitution of the arbitral tribunal. Once the measure has been enforced by the court, the claimant will have 10 working days to commence arbitration. If the claimant fails to file its arbitration petition within this time limit, the court shall revoke the interim measure. The usual pre-arbitration measures are attachments or seizures of assets. During the course of arbitration proceedings, the courts provide assistance to the arbitral tribunal for purposes of enforcing interim measures. No. If emergency measures are required, the claimant would have to access the judicial system. The arbitral tribunal can issue interim orders in the form of provisional (or preliminary) orders and precautionary measures, petitions for judicial assistance in connection with the taking of evidence or enforcement of precautionary measures, such as attachments and seizures of assets. producing evidence required to resolve the dispute. Security for costs can be requested by the arbitral tribunal in cases of both provisional and precautionary measures. Generally, the rules of domestic arbitration institutions (eg, CECAP), contain provisions that allow the arbitral tribunal to assess the behaviour and conduct of the parties during the arbitration. When ordering costs, the arbitral tribunal may punish reckless conduct or bad faith. The majority of the members of the arbitral tribunal is sufficient for purposes of adopting an award. If majority approval cannot be obtained, then the president or chair of the arbitral tribunal can sign the award. Legally, there are no consequences for the award if an arbitrator dissents. A dissenting arbitrator can issue his or her opinion; however, such dissenting opinion does not have legal effect on the validity of the award. The award must be in written form, signed by the majority of the arbitrators. When a signature is missing, an explanation for such circumstance will have to be provided. It is understood that an arbitrator who has not signed the award, nor provided a dissenting opinion, has adhered to the decision of the majority or of the president of the arbitral tribunal. The award must be motivated, unless otherwise agreed by the parties or in the case of a settlement award. It must be dated, with the seat of the arbitration stated. the decision regarding arbitration costs. Yes. The time limit and its extension is usually determined by the rules governing the arbitration, and in certain cases, consent from the arbitration institution may be required. In domestic arbitration, in absence of agreement between the parties (or as provided by the relevant arbitration rules) the default time limit is of two months following the filing of closing statements, and may be extended for an additional two months by the arbitral tribunal. The date of delivery or service of the award is decisive for purposes of determining the 30-day time limit for the filing of the challenge for annulment of the award before the Fourth Chamber of the Supreme Court of Justice. It is also decisive for purposes of determining the time limit to file a petition for clarification and additional awards if the arbitral tribunal fails to address an issue debated during the arbitration proceedings. enforcement of precautionary measures such as attachments and seizures. 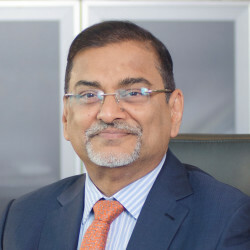 Arbitration proceedings can be terminated through settlement, in which case the parties may request that the arbitral tribunal incorporates the settlement into an award and such award shall have the same effect as an arbitral award on the merits of the dispute. Also, a claimant can withdraw its complaint; however, the respondent may oppose. In this case, the proceedings may continue, subject to the arbitral tribunal concluding that there is a legitimate interest on its part in obtaining a definitive solution to the dispute. The arbitral tribunal can terminate proceedings if it confirms that proceeding with the action would be unnecessary or impossible. Proceedings can also be terminated in cases where the arbitral tribunal fails to render an award within the term provided by the relevant rules, without prejudice to the personal liabilities that may be incurred by the arbitrators. These are the generally recoverable costs. Counsel fees are a matter of agreement between client and counsel, and the default Bar tariff only applies in its absence. Generally, yes. The default interest rate for commercial obligations is 10 per cent per year. Generally, any of the parties can request that the arbitral tribunal correct any error in calculation, typographical errors and other errors of a similar nature. The arbitral tribunal can also correct such errors on its own. The parties can agree to request that the arbitral tribunal provides an interpretation of a specific section or part of the award. Any of the parties can request that the arbitral tribunal issue an additional award with respect to claims formulated during the arbitral proceedings but omitted in the award. The terms to formulate these petitions and the arbitral tribunal’s term to reply (or extend their term to reply) are provided by the law on arbitration: 30 calendar days after service of the award is effected on the parties, 30 days for the arbitral tribunal to correct errors or provide interpretations, and 60 days for the tribunal to issue an additional award. The relevant arbitration centre’s rules usually provide considerably shorter terms, in the range of five days following service of the award to formulate the party petition, and 10 days for the arbitral tribunal to respond. the award breaches international public policy. In the case of a domestic award, the public policy to consider will be Panamanian public policy. This petition must be filed within the 30 days after receiving service of the award. Appeal is available during the course of arbitration proceedings nor during the course of the petition for annulment. Domestic and international awards rendered in Panama are enforced before the civil circuit courts through judgment enforcement proceedings. An application must be filed before the civil circuit courts together with a certified copy of the arbitral award. The application must also include the general documents filed with judicial complaints, such as power of attorney, certificate of legal existence of the parties, as well as evidence of the Supreme Court ruling dismissing the challenge of annulment (when feasible). The defendant is granted a 15-day term to answer the complaint. Its only defence is the existence of the challenge of annulment, in which case the defendant will have to produce a copy of the challenge filed with the Fourth Chamber of the Supreme Court of Justice or a certified copy of a favourable decision; in the absence of such evidence, the circuit court shall order enforcement. No remedies are available at this stage of the proceedings. Foreign arbitral awards are recognised and enforced in Panama in accordance with either the Convention on the Recognition and Enforcement of Foreign Arbitral Awards (New York, 1958), the Inter-American Convention on International Commercial Arbitration (Panama, 1975) or any other treaty ratified by Panama on the recognition and enforcement of arbitral awards. The petition for recognition is filed before the Fourth Chamber of the Supreme Court of Justice. the award breaches Panamanian international public policy. These rules apply in absence of a treaty, or when such treaty exists, these rules shall also apply if they are more favourable in whole or in part to the party petitioning acknowledgment and enforcement. The procedure for recognition of international arbitral awards involves the following stages: submission of the application by local counsel together with the original award or a certified copy; resolution on admission of the application by the Fourth Chamber of the Supreme Court; and service of the order of admission of the application on the defendant and the attorney general, who will have 15 days to submit their reply. Documents issued abroad must be legalised through the Panamanian consulate or apostille. Documents in foreign languages must be translated to Spanish, through a locally certified translator. The application must also include general documents of judicial complaints, such as power of attorney and certificates of legal existence of the relevant entities. Once the Fourth Chamber of the Supreme Court issues its ruling acknowledging the foreign arbitral award and its enforcement, the claimant can commence judgment enforcement proceedings before the civil circuit courts. This matter is not regulated by the law on arbitration. A party against whom an arbitral award is being executed may only oppose said execution on the basis of a pending challenge for annulment or the annulment granted on said award. This situation constitutes grounds for dismissal of the enforcement and acknowledgment application. The Fourth Chamber of the Supreme Court is generally expected to refrain from granting such application. Enforcement of orders by emergency arbitrators is not specially considered by the law on arbitration or the leading domestic arbitration institutions. The claimant can, however, prior to the formation of the arbitral tribunal, access the judiciary and request precautionary measures such as seizures or petition preliminary orders. No mandatory legal costs apply. The claimant can petition legal costs set by the bar tariff as part of its enforcement application. Legal fees are agreed between counsel and client. The influence of the judicial system may be observed in the taking of interrogatories, where questioning and objections generally follow the rules of interrogation of the Judicial Code, which contrasts with certain foreign systems, where the form of questioning may be considered to be ‘leading’ or ‘suggestive’, and thus may be found to be objectionable by a Panamanian arbitrator. Also, a Panamanian arbitrator may be inclined to interrogation rather than reading witness statements, and may include even those witnesses considered ‘suspect’, such as employees or party officers. 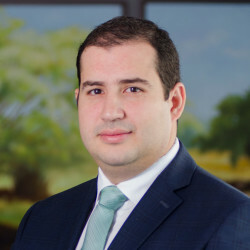 The range of production of documents is limited when compared with US-style discovery, and a Panamanian arbitrator will generally favour documents having specific relevance and connection to the facts. There are no specific or professional ethical rules applicable in international arbitration in Panama. If the party is represented by local counsel, then the Bar Ethics Rules and the law governing the profession shall apply. The practice generally reflects the IBA Guidelines on Party Representation in International Arbitration. No. This matter is not regulated in Panama. A practitioner should be aware that the legal profession is restricted to Panamanian nationals. This is an important factor to consider, not only in the case of domestic arbitration at law, where arbitrators must be Panama-licensed attorneys, but also when accessing the judiciary in connection with arbitral proceedings, as occurs in the case of interim remedies, requesting judicial assistance for the taking of evidence, filing and defending the challenge to set aside the arbitral award, for purposes of requesting recognition and, ultimately, in the enforcement of the award. Panamanian-licensed attorneys will be required to represent the relevant party to the arbitration. The Panamanian Olympic Committee has recently signed an agreement with CECAP establishing Panama’s first sports arbitration court, hosted by the Panamanian Chamber of Commerce and Industries. It will serve as an arbitration court for sports-related disputes. There has also been a recent push to establish the Centre for Conciliation, Mediation and Maritime Arbitration of Panama, also hosted by the Panamanian Chamber of Commerce and Industries. This centre will serve as an arbitration court for disputes arising from the maritime industry. Currently, there is a law project in the National Assembly, proposing a reform to the arbitration law, allowing for national arbitral awards to be directly executed by the arbitral tribunal. Said project is in its early stages and pending discussion. Domestic arbitration institutions are currently not revising their rules of procedure. No bilateral investment treaties have been terminated, and no intention to terminate them has been made public by authorities. Panama has recently won an award on an arbitration regarding the illegal purchase of protected indigenous land by a Costa Rican national. Arbitration was carried out at the International Centre for Settlement of Investment Disputes. There are pending arbitration proceedings relating to the Panama Canal expansion project.